Indonesian language or Bahasa Indonesia is the official language of the fourth most populous nation in the world, Indonesia. Bahasa Indonesia has more than 43 million speakers as a first language and 156 million speakers as a second language. With those many speakers around the world, Bahasa Indonesia became one of the most widely spoken languages. Do you know why does Bahasa Indonesia have more second language speakers than the first language speakers? It is because most Indonesians are bilingual and many of them can speak more than one language because aside from speaking Bahasa Indonesia, they also fluent in at least one of the tribe languages. On 28 October 1928, young Indonesian nationalists made a declaration called Sumpah Pemuda (The youth Pledge) to proclaimed three ideals. The three ideals were one motherland, one nation, and one language. Since then, the use of Bahasa Indonesia as the national language became one of the tools in the pro-independence struggle. In 1945, the Indonesian formally annulled Dutch language and established Bahasa Indonesia as the new national language. Okay, enough with the basic information. Now, Cakap wants to ask you about how well do you know Bahasa Indonesia, are you sure that you have enough knowledge about the language? If not, let’s check this out. Indonesian has so many loanwords from other languages such as Dutch, English, Arabic, Chinese, Portuguese, Sanskrit, Tamil, Hindi, and Persian. In modern Indonesian, there are some loanwords from Hebrew, Spanish, and Italian. Despite so many loanwords from other languages, the majority of Indonesian words come from Austronesian languages. Austronesian Languages are a language family that is spoken throughout Maritime Southeast Asia, Madagascar, Oceania, Sri Lanka, and Taiwan. List of Indonesian loanwords has published by Badan Pengembangan dan Pembinaan Bahasa (The Language Development and Fostering Agency). Indonesian also has its own official dictionary, Kamus Besar Bahasa Indonesia (KBBI)—The Great Dictionary of the Indonesian Language of the Language Center—which produced by the Language Center of the Indonesian Ministry of Education and Culture. Bahasa Indonesia has a wide range of different pronouns. In Bahasa Indonesia, the using of personal pronouns is differentiated by social rank, the relationship between the speaker and the addressee, and age. There are Informal (familiar) and formal (standard, polite) form to refer first, second, and third person. Below is the table about common pronouns in Bahasa Indonesia. Indonesian Slang, also known as bahasa gaul or bahasa prokém is a term for the non-standard styles of expression used in Indonesia and usually used in informal situations. The term “gaul” itself means something cool and trendy. The word “prokém” is a slang form of “Preman” (gangster). 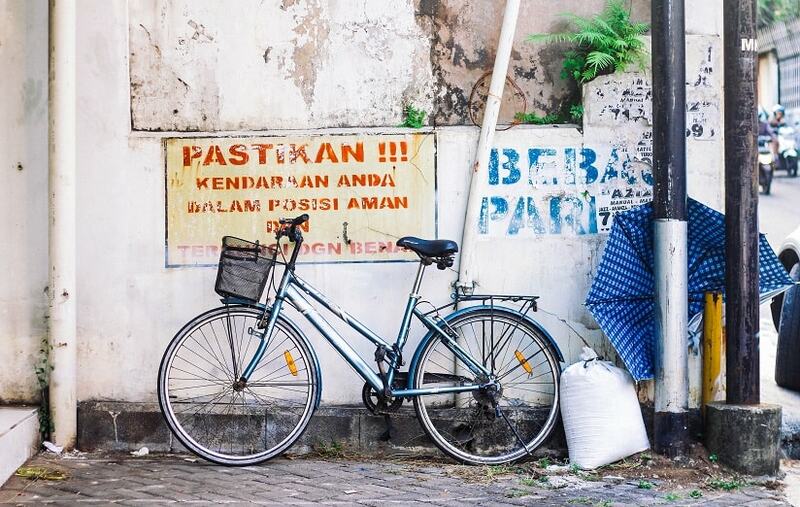 People use Indonesian slang in their everyday conversation and mostly spoken in urban regions of Indonesia. Bahasa gaul or Indonesian slang has some variations, it mainly characterized by the local ethnic languages. The structure of bahasa gaul is mostly from formal Indonesian with a combination of loanwords and foreign languages (English, Dutch, Hokkien, etc). Along with times, Bahasa Indonesia has grown among non-Indonesian people. Various universities around the world have started to open Indonesian classes for their students. There are also various private institutions that provide Indonesian classes for non-Indonesian speakers. 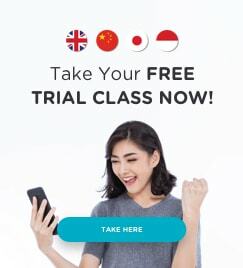 For the materials, they use BIPA—Bahasa Indonesia bagi Penutur Asing (Indonesian Language for Foreign Speakers)—to help the foreigners learning Bahasa Indonesia. The goal is to pass Uji Kemahiran Berbahasa Indonesia (UKBI). UKBI is Indonesian Language proficiency test for both oral and written, officially held by the Indonesian government. UKBI tests the usage of Bahasa Indonesia in different modes if communication and language style. Similar to TOEFL, TOEIC, and IELTS test, UKBI score and grades can be used to be a qualification for certain jobs and for the expats who want to live and work in Indonesia.